Josh Hoyt's book seems like a handy idea to me. As you know by now, the theme on this blog has always been to make use of psychology to increase your story's impact. I've had a little e-back-and-forth with Josh and it seems to me that he knows his chops. As we create our characters and their stories it is important to understand how people in real life work and adjust to their surroundings so that our characters are more rounded and realistic. When our characters are more realistic, our readers will find themselves attached to those characters and will buy into their stories. Once a reader has bought in, we have them hooked. In order to understand how people behave and think we can look at psychological studies that have been conducted in the past. One of those studies that helps us understand why we as humans have odd reactions to certain things, such as being afraid of a stuffed animal, was conducted in the 1920's by John B. Watson. Watson wanted to take the research conducted by Ivan Pavlov further and show that classical conditioning could be used to condition emotional responses (i.e. fear, anger, joy etc....) from a conditioned stimulus (i.e. stuffed animal, person with a beard, a car etc...) by tying that conditioned stimulus to an unconditioned stimulus (loud noise) that was already tied to an unconditioned response (fear). In order to do this Watson experimented with a child who they called, “Albert B.” The study today is more commonly known as the The Little Albert Experiment. In the experiment Little Albert played with a white rat; Little Albert showed no fear of the white rat when he first held it. Later in the experiment Watson would hand the white rat to Little Albert and then make a loud noise which startled Little Albert. After doing this several times Albert became afraid of the white rat. The conditioned stimulus was the white rat and the conditioned response was fear. Watson showed through the experiment that a conditioned emotional response could be tied to a conditioned stimulus. Further, they proved that this conditioned response was generalized over to other conditioned stimulus. Little Albert not only showed fear of white rats but other similar white objects. We see this happen to characters that we read about as well. For example, Frodo becomes conditioned to a stimulus, in this case a ring. In the beginning of the trilogy of Lord of The Rings, Frodo goes unnoticed by the world, feeling protected because of this anonymity (unconditioned stimulus) which comforts him (unconditioned response). When he enters the world and finds himself in trouble and being noticed by those around him, he puts the ring on (conditioned stimulus) and once again finds himself unnoticed (conditioned response). He continues to find comfort in putting the ring on which reinforces the conditioned response to the point that he can't let the ring go even if keeping it costs him everything. Our characters not only have unconditioned responses to the situations they find themselves in but also conditioned responses that form through their story as they experience different stimuli that are paired with unconditioned responses. By developing these conditioned responses in our characters we show growth and change in our characters. They're no longer stagnate but alive and changing. The easiest way to figure out our characters unconditioned responses and stimuli and their conditioned responses and stimuli is to make a simple chart. Now just fill in the blanks. The responses will be the same. The stimuli are what changes. Keep in mind that the conditioned response is what the character learns and the unconditioned stimuli is what the character has already been exposed to. For an example I'll take a character through this process. Unconditioned Stimuli: home for Christmas Cookie smell. My sample character loves his mother immensely but lives a long way from her and can only afford to visit her once a year at Christmas time. During this time his mother always makes pumpkin cookies which have a very strong cinnamon spice smell that he can smell before he even opens the door. After visiting his family one Christmas his neighbor, a beautiful young woman, cooks some pumpkin cookies that he can smell through the thin walls. He instantly remembers his mother and the love he has for her and all the joys of Christmas. Later that day the young woman brings him a plate of the cookies and he instantly falls for her as he inhales the cinnamon spice pumpkin smell. As you can see, after recognizing the different parts of classical conditioning I was able to make a believable synopsis of how the young couple fall in love. By understanding our characters and what drives them we can make realistic characters that our readers will love to get to know. 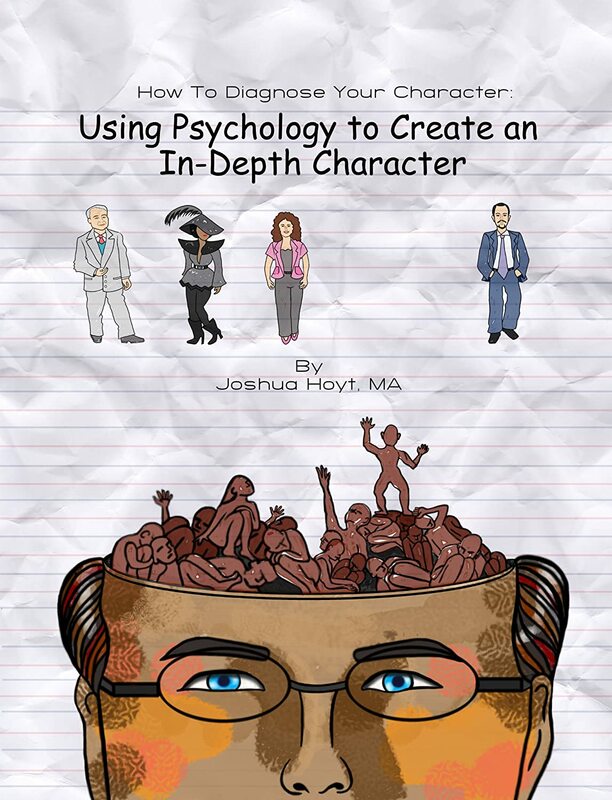 Josh Hoyt has a masters in Counseling from Northern Arizona University and is currently attending Utah State University for a Masters in School Psychology. He has worked with a range of patients, children and adults, helping sufferers of many issues including drug addictions, depression, anxiety and schizophrenia. He has been writing since 2009.